Today I am going to share Unofficial CyanogenMod CM11 ROM (HM2014813) based on Android 4.4.4 for Redmi 2. Can not wait to share with you all. So let's start. CyanogenMod is an open source operating system for smartphones and tablet computers, based on the Android mobile platform. It is developed as free and open source software based on the official releases of Android by Google, with added original and third-party code. It is based on a rolling release development model. Your warranty is now voided. I am not responsible for Bricked Devices, Dead SD Cards, World War 3 or You getting late on your date because the alarm app failed. Please do some research if you have any concerns about flashing ROMs or any other doubts! P.S. But you can always get warranty back by flashing stock MIUI ROM. Please backup the original system data (contacts, SMS, application data, etc.). Please backup files to another location as the built-in storage (external storage or individual PC). Phone Battery Charged Above 70% At Least. Flash CM11 ROM zip file from from internal SDCard. Flash GApps zip file from internal SDCard. Clear Cache and Clear Dalvik Cache. Other things are also fix. For more details visit the Rom Source. In YIROM teamwork, the new device tree structures using the official kernel compiled from CM11 latest source code. This is early build so you may encounter some bugs. Credit & Thanks To : syhost, lwang, FlourMO, YIROM, and bbs.phonesbbs.com team for ROM production process. Thanks To : ShadowHawk, Kingofheart, C4cat, China_Mafia, King for testing this ROM. Thanks To : @AndroidFuchs , @BalcanGSM , @gtiu , @Kellaw , @thenewmaker for guidance. Thanks To : @SubhrajitNath for sharing CWM Recovery for Redmi 2. Disclaimer : I didn't created this ROM, i am just sharing this ROM itself without making any modifications and source link is provided below. If anybody wants more info then he/she can visit the source link. Thank You ! Anik1199 + 10 + 1 Great! abhishe + 10 + 1 Great! @fksgs2 I've created a video on Cyanogenmod 11 for redmi 2, You may like to add this to the OP ! fksgs2 + 10 + 3 Thanks! Could someone confirm if this build has proximity sensor issue? During call, the screen turns off and it did not turn on. Need to wait for call to complete/disconnected to have screen lite on. 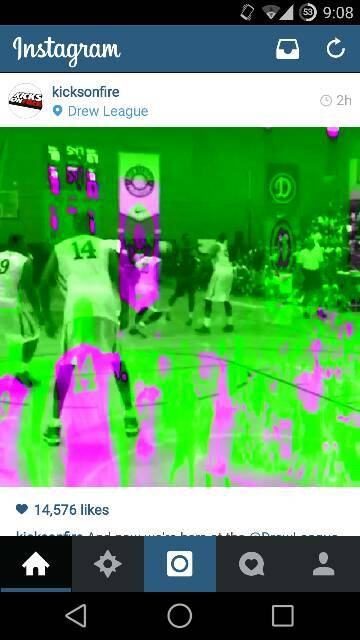 I have a problem, Every time I try to watch a video on YouTube, Instagram, Vine, etc., the video is displayed green and purple, and distorted. This also happens in the browser, however, when I switch to full screen, the video displays normally... What could be the problem? I can't find anyone else with the same problem, no matter what phone/ROM they are using... This has become extremely annoying as I can't watch videos because of the distortion, please help! Thanks. please someone help me. my redmi2 cm11, green and purple tint when I watching video. what I'm gonna supposed to do? can i use this in 2014811 version..? me too. developers please fix! Hey buddy this is tooo fast really this developers are tooo great. Thanks for sharing this awesome ROM with us. You are awesome as always.